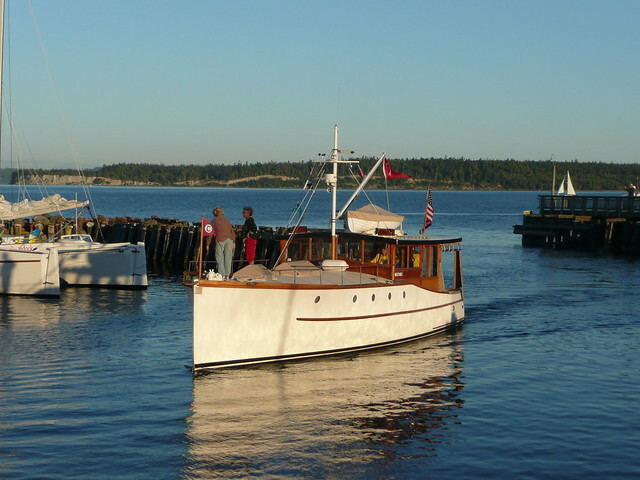 Port Townsend's Wooden Boat Festival is the most education-packed and inspiring wooden boat event in the world. Featuring more than 300 wooden vessels, dozens of indoor and outdoor presentations and demonstrations, a who's who of wooden boat experts and thousands of wooden boat enthusiasts, there's something to do, someone to meet, or a boat to board at every turn. Expanded a little each year, the festival honors its traditions while inviting energetic debate and demonstration about the latest innovations in boatbuilding, equipment, skills, and adventure. Many CYA boats will be in attendance, so be sure to contact Larry Benson at the link below to coordinate with other members. Also, Rick Randall leads a Classic Yacht Seminar at the show.